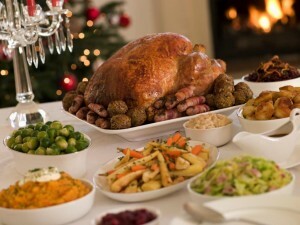 Meat Management talked to a number of industry experts to find out how the 2015 festive season fared, and whether turkey is still the nation’s number one when it comes to Christmas dinner. 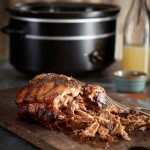 Retailers and butchers reported a surge in the sales of ‘non-traditional’ meats this festive season. Sainsbury’s said venison sales were up 115 per cent compared to the same time in 2014, while Tesco stated that the demand for guinea fowl, duck and goose had also grown. Supermarkets also reported that adventurous shoppers were searching for exciting alternatives to turkey, like veal and venison. Goose was a successfully selling festive table centre piece for Lidl; the supermarket saw sales of free range goose almost doubling. Fresh British turkey still led the way at Lidl though, with a 61 per cent year on year increase alongside a 72 per cent increase year on year in free-range, and it may not come as a surprise that turkey overall is still ruling the roost. Gordon Newlands from the Q Guild revealed that boneless turkey joints were up 30 per cent in the run up to Christmas, and turkey crown sales also increased. Independent butcher John Harding of Owton’s Farm Shops in Southampton confirmed that turkey sales had gone up, especially for free range products. A representative of the International Meat Trade Organisation expressed that there have been a diversity of views as to whether meat sales were better overall than in 2014. They said a wide divergence between cost conscious purchasing and what is served in elite restaurants proves the diversity of the meat market, creating difficulties in pinning down specific observations. Yet it would seem independent traders and butchers proved successful with “long lines of customers waiting to collect their produce” (Q Guild) – in fact, all Q Guild members’ sales were up from 2014.